Today I’ll introduce a member of a group of insects that have long fascinated me – the stick insects, or walking sticks. Several of the over 2,700 described species are well established in captivity, especially among European hobbyists. 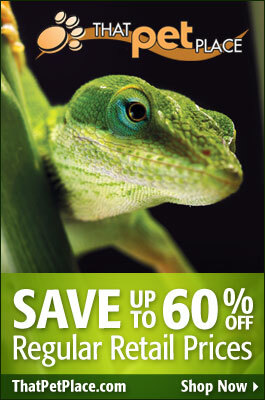 They are growing in popularity here in the USA also, most commonly, I’ve noticed, among reptile and amphibian keepers. (Note: laws governing the keeping of insects vary from country to country and state to state; please check those applicable to you before purchasing insect pets). Today’s insect hails from Australia and New Guinea (as do most truly bizarre creatures!). I’ll cover the husbandry of the giant spiny stick insect in the future…for now I’d like to provide you with a look at its most incredible reproductive strategy. Female giant spiny stick insects lay approximately 12 eggs at a time, and may produce up to 1,000 or more during their lives. They fall to the ground after being quite forcibly ejected by the cloaca. The eggs resemble seeds and are tipped with a structure known as a capitulum. The captiulum’s collar is a favored food of ants of the genus Leptomyrmex. The ants carry the eggs into their nest, where the collar is eaten. The stick insect’s eggs are then discarded in the ant colony’s underground rubbish pile, where, protected from predators and the fires that regularly ravage the forests above, they develop. The walking stick nymphs mimic Leptomyrmex ants in color (black body, red head) and move about in a rapid, frantic manner as do the ants (adult stick insects are slow moving). They also curl their abdomens up over the body, in the manner of their ant hosts. Upon leaving the ant nest the stick insects moult, assume the adult body form and coloration, and climb into trees to live. All walking sticks undergo incomplete, or hemimetabolous, metamorphosis – there is no pupae stage. This species may reproduce either sexually or by parthenogenesis. Eggs produced via mating hatch in approximately 4 months, while those produced via parthenogenesis may take 9 months or more to hatch. Strange, even for an insect, don’t you think? I’m always interested to hear about unique survival strategies…please write in with your own favorites and I’ll share them in future articles.